Name something more ubiquitous to our daily life than a mobile phone. Go ahead… take your time, I’ll wait. It’s unlikely you will find an appropriate answer because recent statistics indicate that over 95 percent of the adult population now own a mobile phone and of those, 77 percent are smart phones. So… what are we doing with all of these mobile phones? There are the core functions of making phone calls, text messaging, checking email, watching funny cat videos, and taking pictures of food. But beyond that, we as a population are turning to the mobile phone to interact with key elements of our daily lives more than ever including banking, fitness, social media, all means of learning, and of course, shopping. The current trend with most retailers – big and small – has been to focus on e-commerce and more specifically, m-commerce, and with good reason. Digital retail revenue is expected to grow approx. 14-18 percent and m-commerce is looking to eclipse almost 70 percent in growth this year alone. Meanwhile, overall retail is only expected to grow about four percent. Couple that with the expected decrease in footfall traffic of 15 percent year-over-year, it might appear that brick-and-mortar stores are on the fast track to being antiquated. Retailers are quick to focus on the what and the how: “What are we doing to increase our e-commerce footprint?” and “How are we giving our customers a mobile experience?” Questions they should be asking include: “Who are our customers and why are their shopping behaviors changing?” Surprisingly, the answer has nothing to do with Amazon. Well, maybe a little bit. 1. Mobile is not just another platform. Retailers, and even non-retailers, need to understand that customers now segment their brand interaction based on platform – desktop, mobile app, and even mobile web/tablet/watch/etc. User experiences are not one-size-fits-all, especially for mobile. Customers don’t want the full website crammed into their mobile app. If they wanted that experience, they would just pull up the website on their laptop or desktop. Customers expect a unique mobile-centric experience that provides them value for engaging with the brand – whether that’s saving money, saving time, or a moment of surprise-and-delight. 2. Customers DO want to shop in the store… alongside their mobile device. But… their reasons for doing so have changed. Over half of customers “showroom” where they look around at products in a store, then purchase it online where they can find a better price or more convenient delivery options. However, over two-thirds of customers “webroom” where they do their research online and purchase the product in-store because of an immediate need, a more convenient return policy, or it’s a product that needs to be seen or felt in-person. The greatest success comes from being able to respect the multi-channel shopping desires of the customers. 3. It’s no longer e-commerce, or m-commerce, or even retail commerce… it’s just commerce. Segmenting customers into those who shop in the store and those who shop digitally is a tragic mistake. It is the proverbial apples and oranges comparison. Why limit a customer to one when really they want a fruit salad? All commerce is good commerce, whether the customer buys it from your store or from the app. Customers tend to pull the trigger on purchases when a brand provides them multiple ways to engage with the brand. Doing so in a meaningful and relevant way for the customer creates not just point-of-sale transactions, but develops brand loyalty in which a customer not only comes back to shop again, but also spends 3.5 times more than a customer who only engages with a brand in a singular manner. Customer expectations regarding brands and the retail industry continue to grow as mobile devices continues to become a larger part of our daily lives. Brands who are not only aware of this, but are actively solving for the omnichannel experience by combining the best parts of e-commerce, m-commerce, and retail into a convenient and personalized experience will be the brands that don’t just survive, but thrive in this new world order. 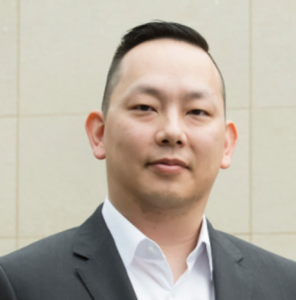 Michael Chen is a passionate and dedicated Client Services Executive with over 12 years of experience delivering numerous, successful technology solutions for industry-leading companies. Michael graduated with a BA in Economics and an MBA in Management from the University of Texas, and is a certified Project Management Professional (PMP).